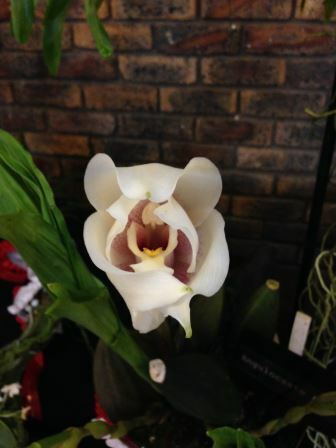 The Witwatersrand Orchid Society (WOS) is one of the oldest orchid societies in South Africa, having been formed in 1963, under its original name of The Transvaal Orchid Society. 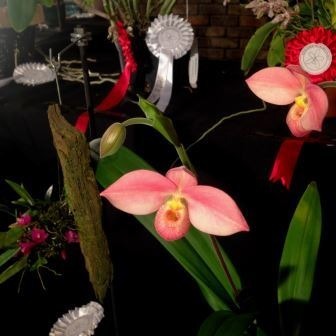 Based in Johannesburg, South Africa, we are a very diverse group, both in age and background with members ranging from complete novices to experienced growers with many decades of experience in growing all types of orchids. 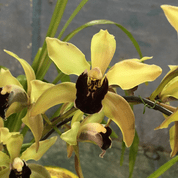 WOS was founded to promote and further the culture of all types of orchids while promoting the knowledge and protection of our indigenous orchid species among the general public. The WOS has a substantial library, consisting of some 600 books and magazines. Members can take out a maximum of three books each month, with the exception of specific reference works which can only be consulted in the library. Usually the librarian will bring a random selection of books into the Floreum for members to select from. The Library is open before each meeting from 13h00 to 14h00. 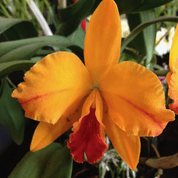 Greenhouse visits are arranged at periodic intervals and members get the opportunity to see first-hand how other members grow their orchids. 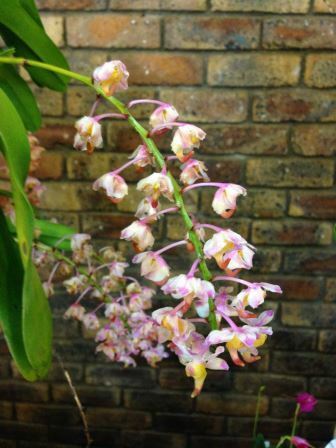 Field trips are arranged to see indigenous orchids growing and flowering in their natural habitats. 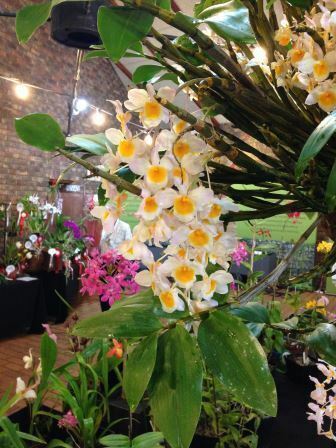 We also arrange visits to other orchid societies or commercial orchid growers. The WOS holds a meeting every month, with the exception of December. These meetings normally take place on the last Sunday afternoon of every month. The meeting venue is the Sima Eliovson Floreum, Johannesburg Botanical Gardens, Emmerentia Dam, Johannesburg. Held on the last Sunday afternoon of the month starting at 13h00, with members meeting for tea and biscuits first and then the meeting proper at 14h00. A monthly newsletter is sent to members with details of the next meeting’s speaker and topic and keeps members up-to-date on the Society’s activities. Guests are always welcome to come to a meeting to see what our Society is all about. 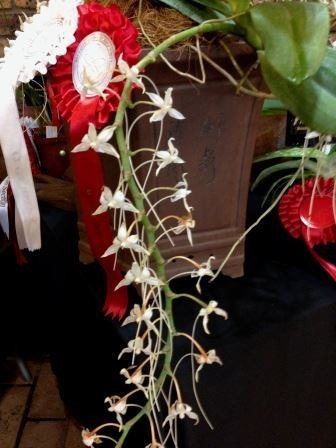 The meeting starts with tea and biscuits and the chance for members to socialise and discuss their orchids with each other. Experienced growers are more than willing to answer new members’ questions. 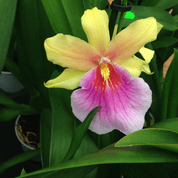 A talk on some aspect of orchids and their culture. 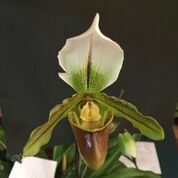 These talks are given by experienced members of the WOS or other South African orchid societies, international experts or other experts in specific fields relating to orchid culture. 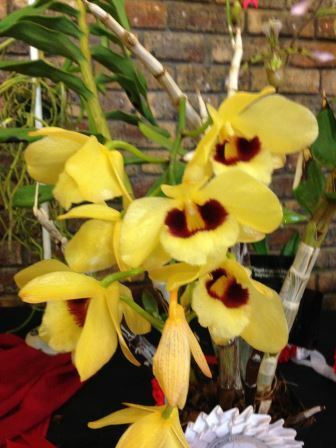 A plant table consisting of flowering orchids brought by members. 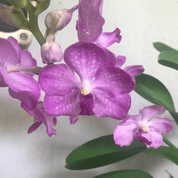 The orchids are discussed by one of our more learned members who give information about their origins and culture to increase the members’ knowledge. 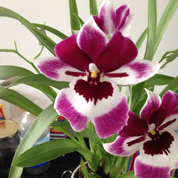 A raffle of an orchid plant for fund-raising purposes. 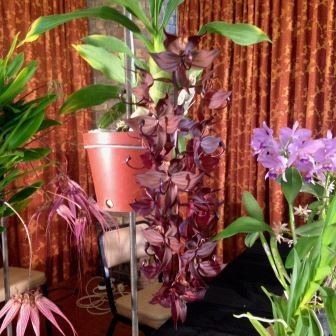 A Sales Table where members have the opportunity to sell and acquire plants from other members. 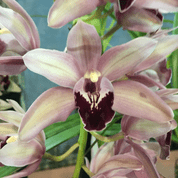 The prices are often substantially below those of similar plants offered by commercial nurseries. Please note: There is no meeting in December! Please join us at our usual venue, The Floreum, JHB Botanical Gardens, Olifants Road North parking, Emmarentia. Please note that the information on this page is also available as a downloadable .PDF document.